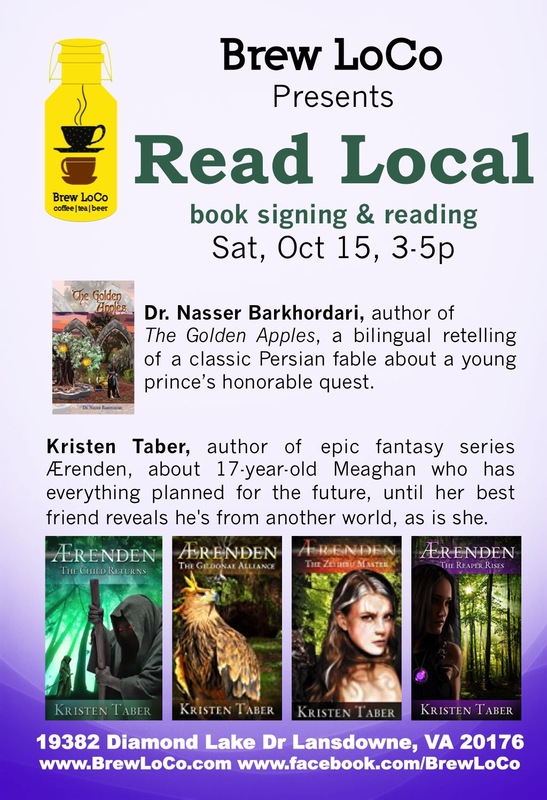 Saturday, October 15, 2016 I will be doing a reading and book signing at Brew LoCo in Lansdowne, VA. Fellow local author Dr. Nasser Barkhordari will be joining me. Dr. Barkhordari's book The Golden Apples is a retelling of a Persian fable, written in both English and Farsi. It sounds like a fascinating book, so I can't wait to meet him. You can find more information about his book here. This event is part of Brew LoCo's "Read Local" series, which highlights local authors in the Northern Virginia/Washington DC area. Brew LoCo serves food, coffee, tea, wine, and beer, so come raise a glass or a cup with me and enjoy great conversation :).